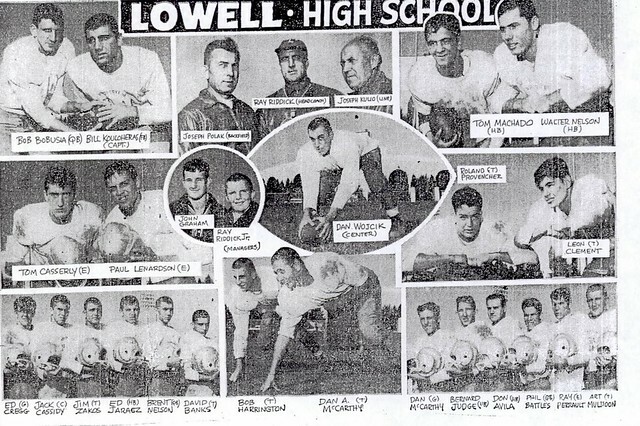 First as a player, then as a valued assistant under legendary Hall of Fame Coach Ray Riddick, Joe Polak was an integral part of the storied history of Lowell High School football over a span of 40 years. 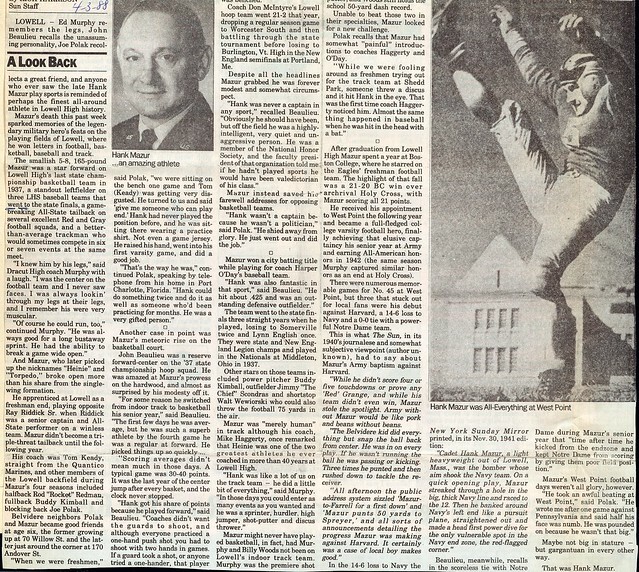 As quarterback on teams with fellow Hall of Famers Hank Mazur, Ed Murphy and Jim Scondras, he provided the leadership necessary for two highly successful seasons. 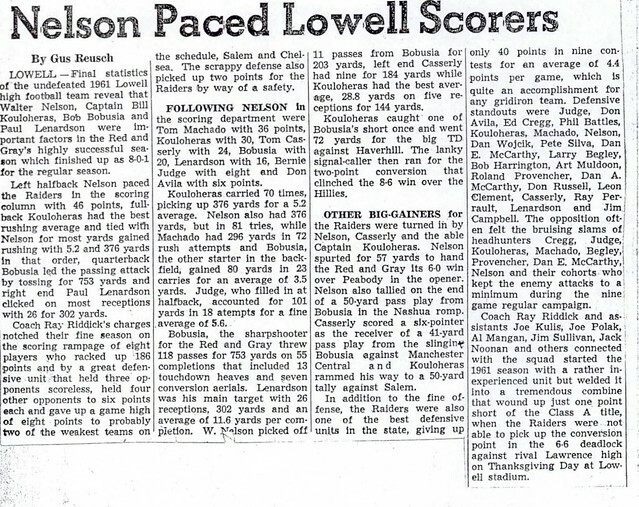 As a defensive player, he is still considered one of Lowell’s all-time outstanding linebackers. 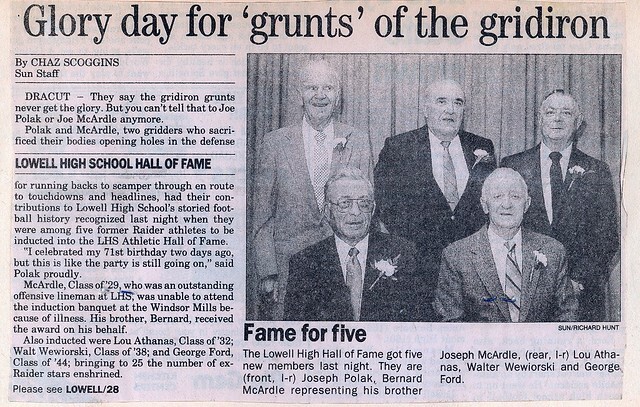 After graduation, Joe matriculated at the University of Georgia, where he played for 4 years under Coach Wallace Butts. 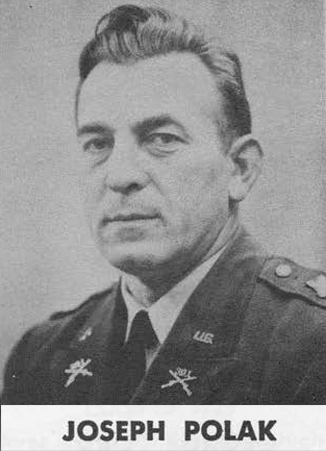 As a blocking back for All-Americans Frank Sinkwich and Charlie Trippi, he was an integral part of two highly successful campaigns culminating in victories in the Orange Bowl of 1942 (Georgia 40–T.C.U. 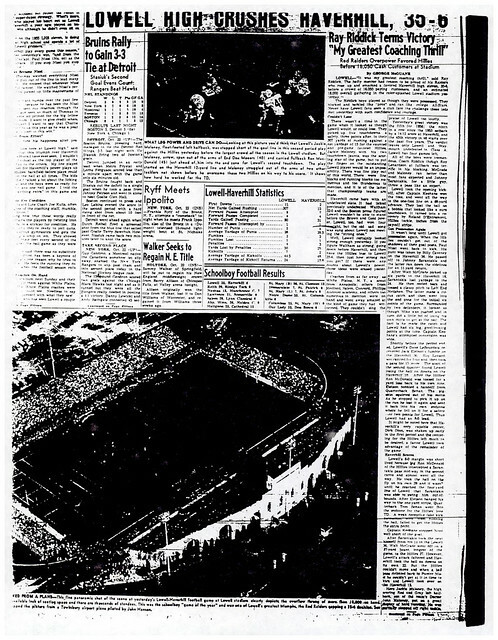 26) and the Rose Bowl of 1943 (Georgia 9–UCLA 0). 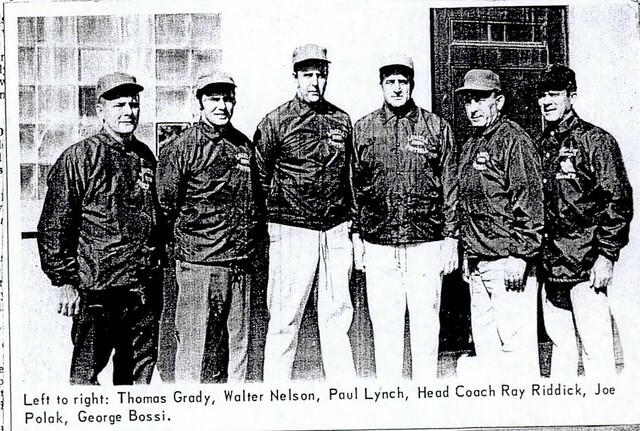 Joe’s coaching career as offensive coordinator under Ray Riddick spanned 26 years (1949–1974). 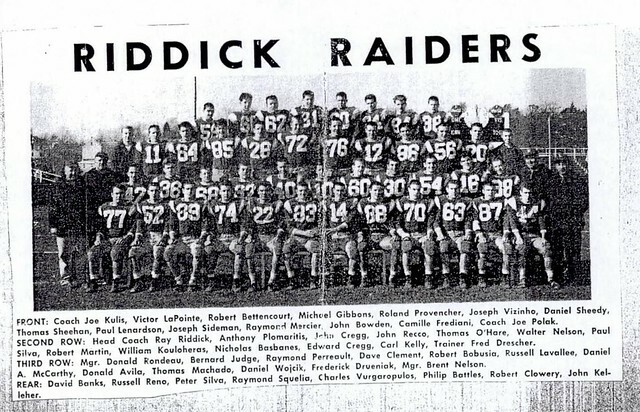 He was an important cog in the Riddick Red Raider Machine that accumulated 10 undefeated seasons, 6 Eastern Massachusetts championships, and an incredible 52 victories in 54 games from 1951–1957. Fond farewell to a humble coach. Byline: David Pevear, SUN STAFF Jul. 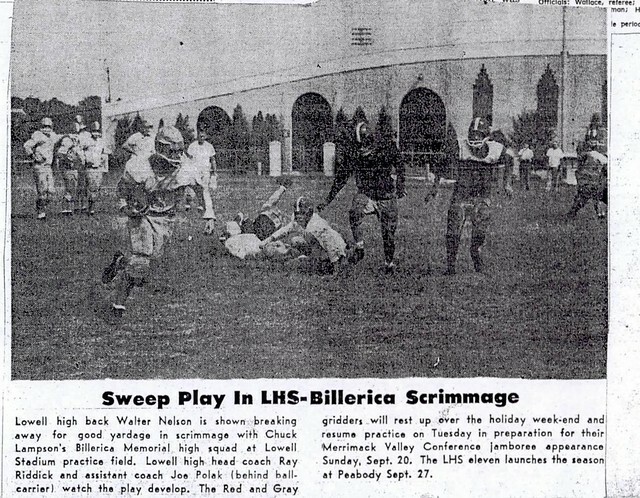 24–LOWELL — Wherever Joe Polak stood, football legends apparently felt it wise to stand close by. 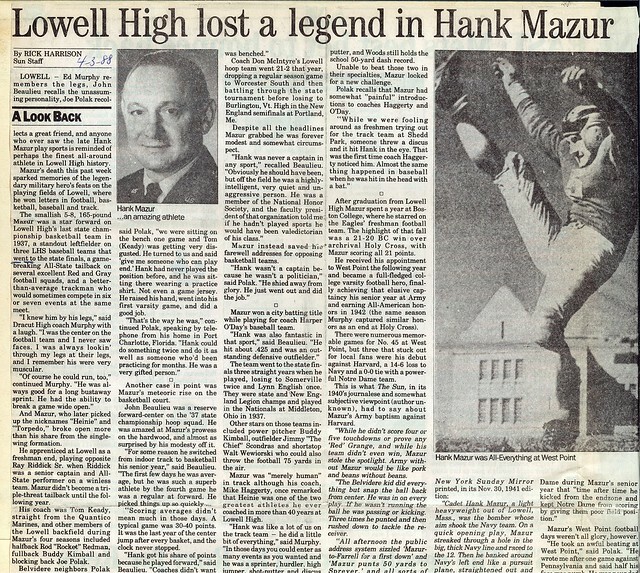 When he was at Lowell High School in the 1930s, Polak was the blocking back for Hank Mazur, helping to clear Mazur’s path to becoming the football player many old-timers consider LHS’ best-ever. 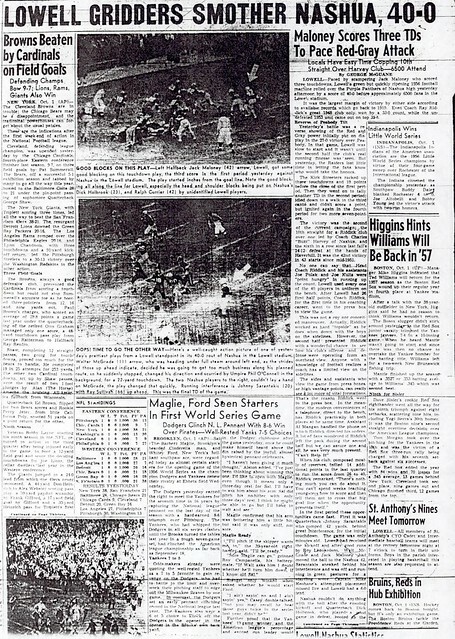 At the University of Georgia in 1942, Polak blocked for Charley Trippi, helping Trippi on his way to reaching both the College Football and Pro Football Halls of Fame. 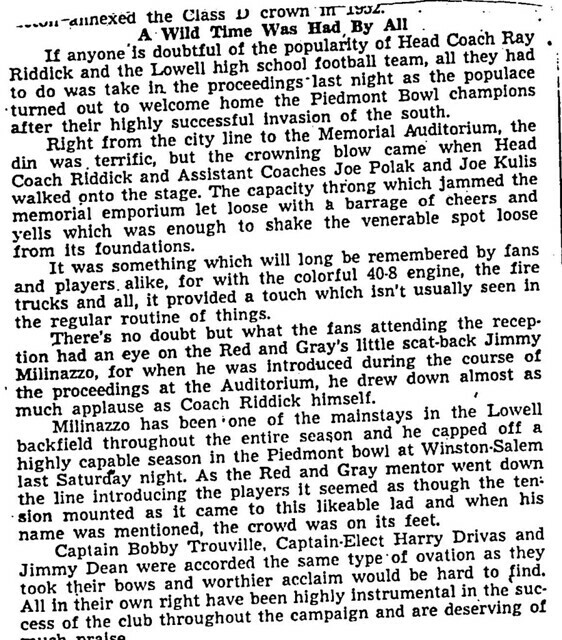 And from 1949-1974, Polak was backfield coach for Ray Riddick at Lowell High, assisting in building nine of the 10 undefeated teams that made Riddick the most celebrated Lowell sports legend of them all. “Joe was very quiet, very humble. 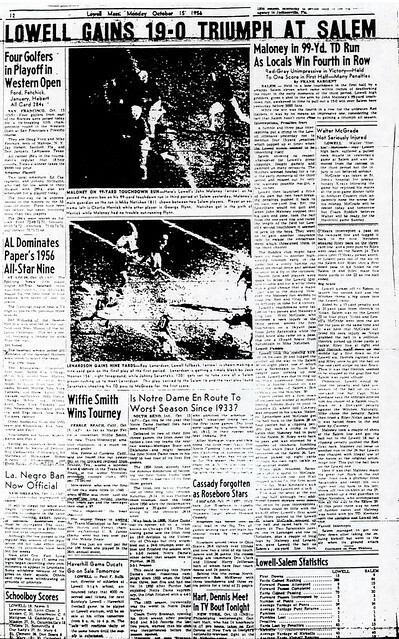 Other than the fact he looked like a football player, you never would have known he had played in the Rose Bowl (in Georgia’s victory over UCLA on New Year’s Day 1943 that clinched the national championship),” says Walter “Herkie” McGrade, a halfback on the undefeated 1956 LHS team. This selfless giant of Lowell High football died July 13 in Port Charlotte, Fla. at age 88 following an extended illness. Polak was buried last Thursday at Holy Trinity Cemetery in Lowell, alongside his wife Dorothy, who died in 1998. 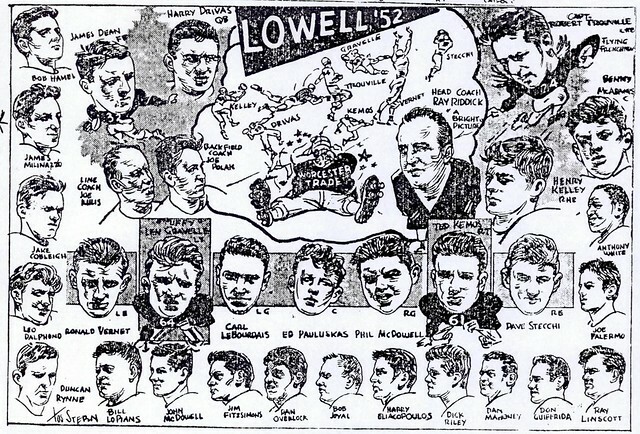 A history lesson given by coach Al Pare inspired 14 members of Lowell High’s present-day football team to attend the funeral mass held for Polak at Holy Trinity Polish Church. Polak graduated from Lowell High in 1937, majored in engineering at Georgia, served in the infantry in World War II, and was inducted into LHS’ Athletic Hall of Fame in 1989. 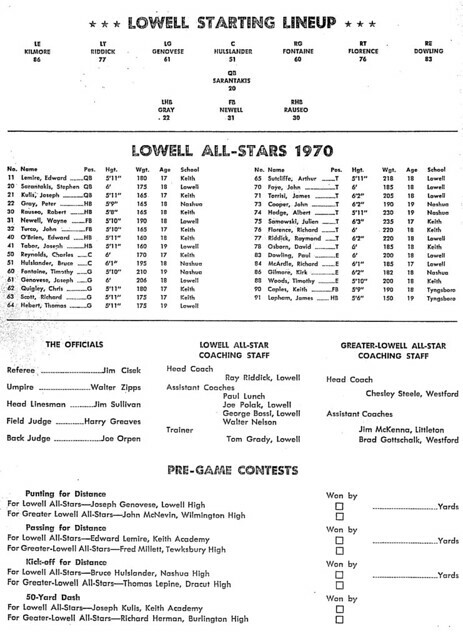 “Part of that ‘Greatest Generation,'” says former Lowell High coach Walter Nelson. “A quiet, nice fellow. 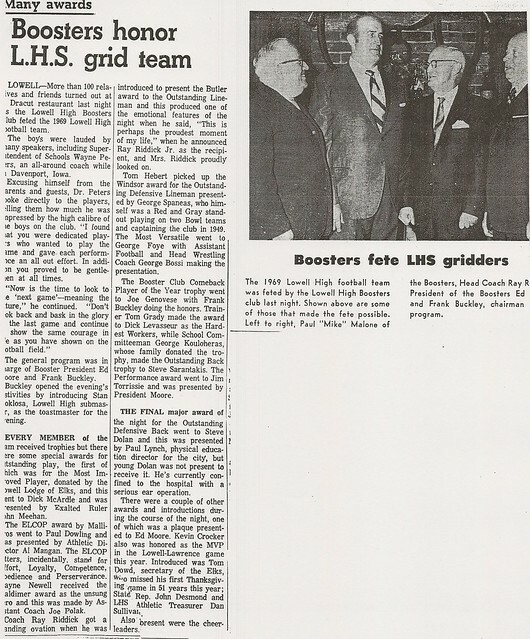 A real good blocking back,” says Ed Murphy, a Lowell High teammate of Polak’s and likewise an LHS Hall of Famer. 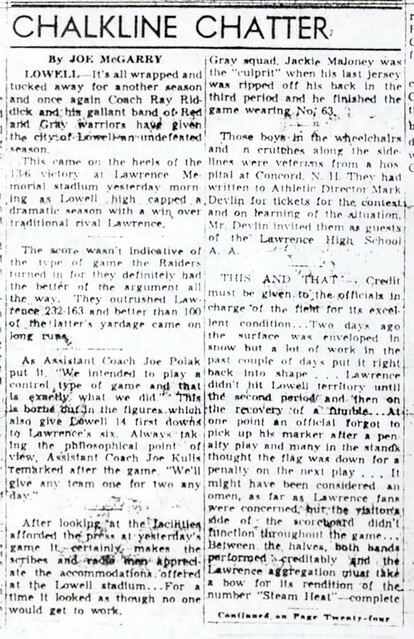 In 1947, Polak assisted Murphy during his second season as head coach at Dracut High. 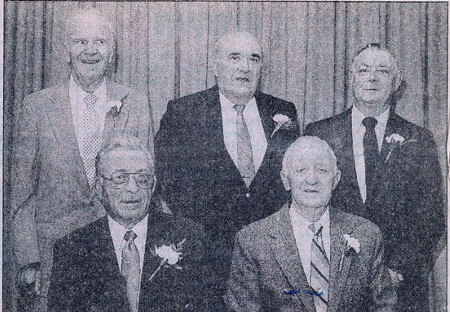 “He helped me quite a bit as a volunteer coach,” says Murphy, who would coach Dracut High for 47 seasons. 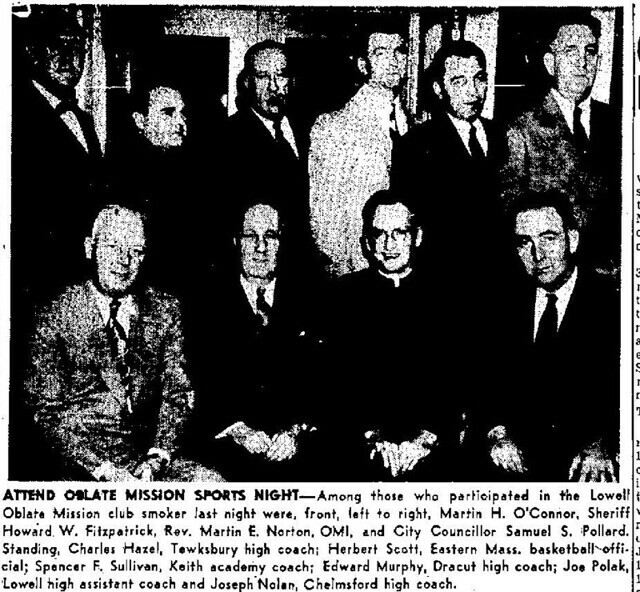 In 1949, Polak joined Riddick’s staff as the quieter authoritative voice to offset the fierce intensity of Lowell’s other outstanding assistant, Joe Kulis. In addition to teaching fundamentals of blocking and tackling, Polak taught physics at Lowell High. 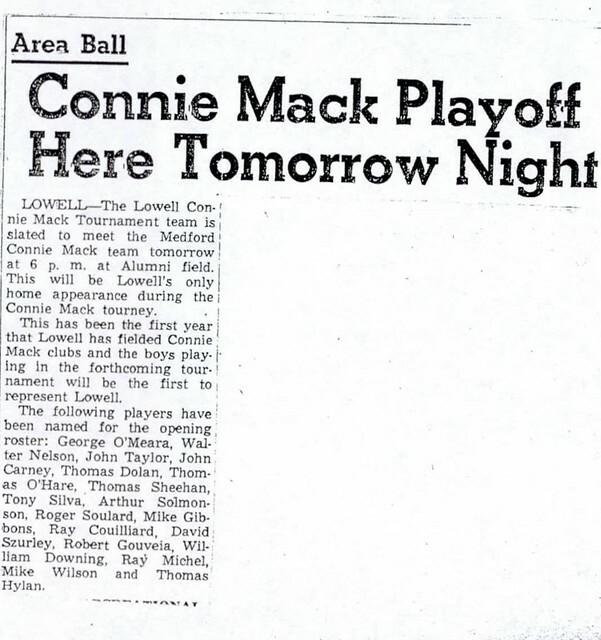 In 1956, McGrade injured his shoulder a week before Lowell was to play defending state champion Haverhill in front of 18,000 fans at what is now Cawley Stadium. 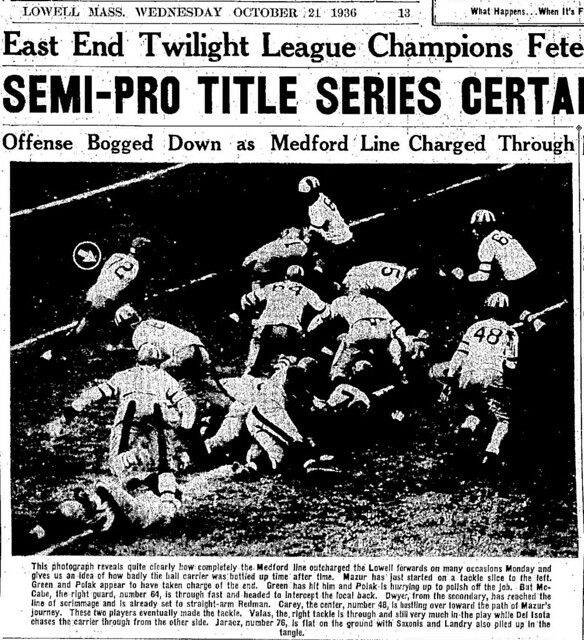 McGrade still treasures the careful instruction he received from Polak that enabled him to play effectively in one of Lowell’s most famous victories. Nobody recalls hearing Polak curse, though his life — which profoundly touched so many — was touched by tragedy when an adopted son was killed in an automobile accident. Polak agreed it was not Pare’s fault, coming to the lineman’s defense when Pare was scolded by another assistant coach for missing blocks at practice. 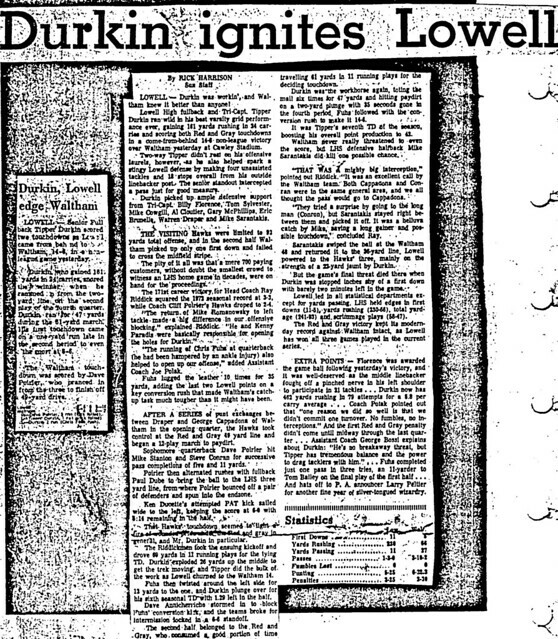 To see more of The Sun, or to subscribe to the newspaper, go to http://www.lowellsun.com/. Copyright (c) 2007, The Sun, Lowell, Mass.